Most workers will have a few more euro in their wallets and purses from the start of the new year due to income tax changes from the Budget. From March, pensioners and other social welfare recipients will be better off. But it won’t be much and many people are still struggling to get back to the financial position they were in before the economy blew up a decade ago. The changes amount to around €5 a week in most cases. But the tax cuts were not big enough to stop people paying more due to wage rises. In the past few budgets, people have been thrown a few crumbs in terms of cuts to income tax and the universal social charge. But so severe were the impositions on our incomes due to the harshest years of austerity that most people are still being pummelled. Hikes in income taxes, along with the introduction of the universal social charge (USC), higher VAT rates, a raft of levies and charges and the loss of valuable tax reliefs continue to hit households hard. Income taxes and PRSI are now so high that they make up nearly half of all taxes paid in the State. Yes, incomes have gone up and are now back close to the peaks seen during the boom years. 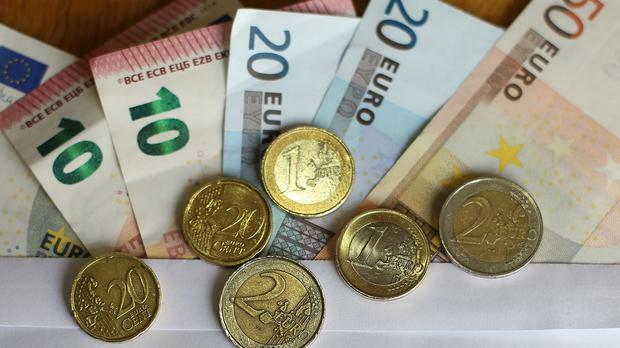 Average household disposable income rose by nearly 5pc to €48,476 last year, according to the Central Statistics Office. This was 17pc higher than at the low point of the recession in 2012, when it was €41,399, and just 1.1 pc lower than the boom-time high of €49,043 recorded in 2008. But the deductions are so great that few are celebrating. In 2017, income tax generated €20bn, which was more than double the 2003 level and almost 50pc more than in 2007. Those figures give a flavour of the extent of the gouging of household budgets that are required to rescue the State and the banks from financial collapse. The lost decade has cost householders dearly in other ways too. Property taxes, a massive rise in the standard value added tax (VAT) and the loss of valuable tax reliefs – such as mortgage interest relief for many and restrictions on health insurance relief – are proving a huge burden. This is costing the average family another €1,000. A string of levies and charges is also hitting families. These include the impact of the now removed pensions levy on private sector workers, the insurance levies, higher Dirt rates and the higher PSO levy on electricity. A typical family is being hit for €500 from these. Most of the burden of returning the State to solvency continues to land on ordinary taxpayers. And much of that impact falls on the middle-income earners. Some 85pc of income tax is paid by those earning middle and higher income, while a third of workers – around a million – pay no income tax at all. No wonder there was uproar when it was revealed that Revenue was trying to take away flat-rate expenses from workers, a small tax relief for those in the PAYE system. The message from the State is to keep ponying up.